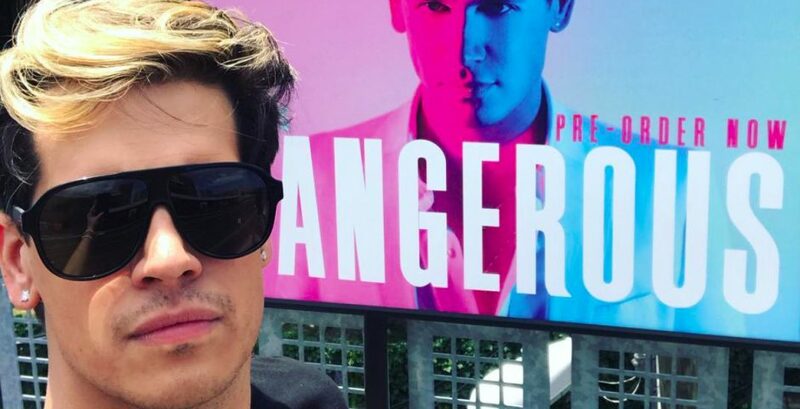 Last week, Milo Yiannopoulos launched his self-published book, Dangerous, in the first real attempt at a rebound from a scandal-strewn February, which saw him accused of condoning pedophilia, removed as keynote speaker from a conservative conference in Washington DC, and dropped from his original book deal by Simon and Schuster. Milo also has a message for College Republicans and libertarians. Milo also claims the success of such an outlook is proven by the presidency of Donald Trump. He also feels that the benefits of people walking the line between humor and offense are exemplified by people like Trump and himself. “I understand that if the whole world was provocative, British fags who said, ‘feminism is cancer’ it would be chaos. But, it is important that some people are like me, because what people like Trump and I do is enable others to feel a bit more comfortable expressing themselves further. These days, if you are a Republican or a libertarian in this country, some of your opinions, perfectly reasonable, respectable opinions that come from a good place that have facts, reason, and logic, are considered hateful, sexist, racist, when they are not. And while he admits that his book holds little academic value, he still strongly encourages people in academia to read his book because, “it’s one of those books that just sort of comes along at the right moment and captures people’s imaginations and says what everyone is thinking. To illustrate this, Milo describes a speech he gave in Louisiana as his drag persona, Ivana Wall. It’s up to you to decide if Milo’s passionate love for the United States is a good thing or not.